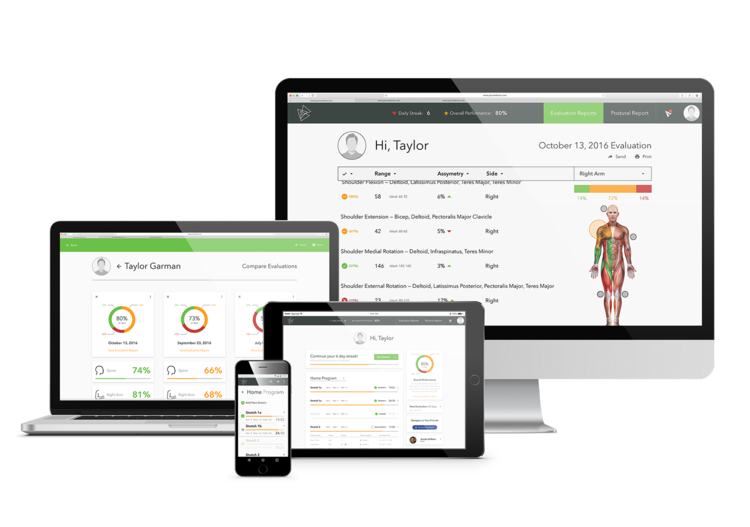 With an absolute new level of assessment and interpretation method, StretchingSA can now offer a full comprehensive program specifically designed for each and every patient’s personal needs. Our new state of the art technology together with amazing software has turned the tables in physical patient care and quantification of progress. Enrol with us today, and change your live forever, the right way. Most people ask what the assessment entitles before they book their very own first consultation at a StretchingSA branch. Well to enlighten you in this aspect we look at the 5x keys. In our practices we use the skill “clinical” – i.e. competent history taking and examination of our patients – which are the key to making an accurate diagnosis and assessment of you and you’re complaining of joint problems. Does the problem arise from the joint, tendon or muscle? Is the condition inflammatory or non-inflammatory? What is the pattern of affected areas/joints? What is the impact of the condition on the patient’s life? A brief screening examination is done, which takes only 1–2 minutes and has been devised for use in routine clinical assessments. This clinical assessment has been shown to be highly sensitive in detecting significant abnormalities of the musculoskeletal system. It involves inspecting carefully for joint swelling and abnormal posture, as well as assessing the joints for normal movement. A screening examination is known or called as the “GALS’ assessment which normally stands for Gait (overall), Arms, Legs and your Spine. We normally ask the patient to walk a few steps, turn and walk back, so that we can observe the gait of the patient for symmetry, smoothness and the ability to turn quickly. The gait assessment is done by asking you/the patient to stain your anatomical position, so that we can assess your shoulder, gluteus, calve muscles, spine and limp alignments. With the arms assessment we normally ask the patient to place both their hands behind their heads. This gives us an idea of the movement of the shoulder adductions, abductions and forearm rotations. We can also make the assessment of any joint swelling and deformity. We ask patients to normally lie on our plinths for the legs assessment, by asking you/the patient to do full flexion and extension of both knees. We also assess the internal and external rotation of the hips by helping you guide both the hip and the knee with a 90deg angle for movement. Patients will give us a good indication of joint swelling, deformities as well as callosities of the sole. Most patients will also be assessed for patella effusions and metatarsophalangeal (MTP) joint for inflammatory. Patients is normally being ask to stand in an upright position so that we can assess for any spine abnormality like scoliosis from side to side and also to check for any other abnormalities like lordosis and kyphosis. We can assess the lateral flexion of the neck from ear to shoulder. Asking to touch your toes, this movement is important to determine the functioning but also to rely on good hip flexion, so it is important for us to palpate for normal movement of the vertebrae. It is important for us to record both positive and negative findings in the notes of your body. The presence or absence of changes – in appearance or movement – in the gait, arms, legs or spine. With proper musculoskeletal assessment we can always detect if there are abnormalities, swelling of joint etc in your body. This helps us to determine your Stretching protocol and the best way to help you better your living and wellbeing. So now that you know the basic of the assessment protocol of your first consultation, come and have a pop in or better yet, make your first appointment. You will not be disappointed.